Uzo Aduba attends the 72nd Annual Tony Awards at Radio City Music Hall on June 10, 2018 in New York City. Uzo Aduba styled her dress with gold sandals by Jimmy Choo. 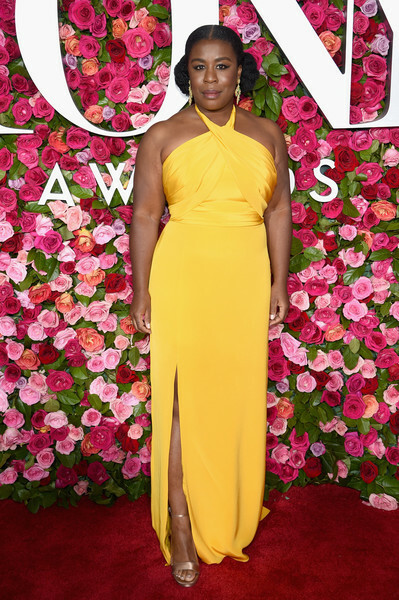 Uzo Aduba dolled up in a canary-yellow halter gown by Cristina Ottaviano for the 2018 Tony Awards.